A language can be learned at any age, but the sooner we learn one, the more we get to enjoy it. 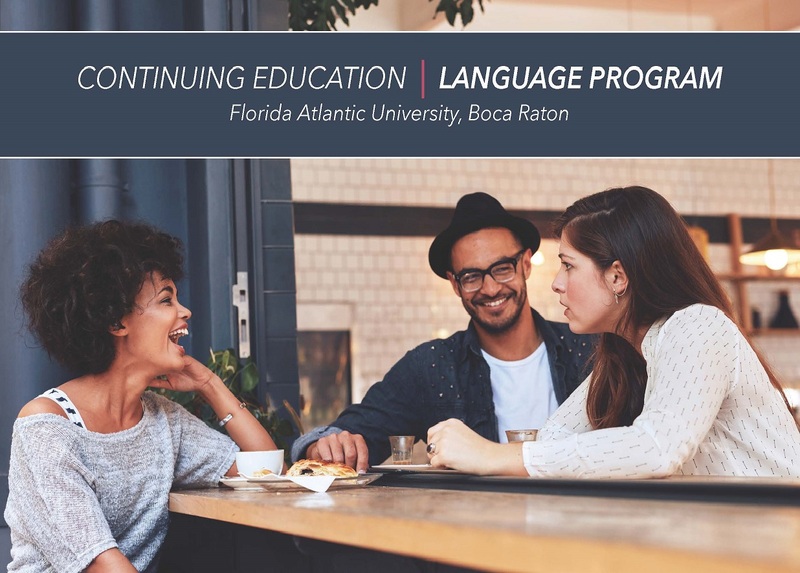 The Department of Languages, Linguistics, and Comparative Literature (LLCL) is offering non-credit continuing education classes focused on Language and Culture. Whether you are a professional wanting to further your skills in a foreign language, are looking to fulfill a linguistic or cultural interest, or are simply trying to connect with others, feel free to join our community. We offer language classes in American Sign Language, Arabic, Chinese, French, Hebrew, Italian, Japanese, Korean, Portuguese, Russian, Spanish, Tatar, and Turkish at a price that is affordable. You may register and pay by credit card at the same time by clicking here. As of summer 2019, the Continuing Education Language Program is no longer accepting checks. A $30 parking permit fee is required for all students with no valid permit. A purchase link will be emailed by FAU Parking and transportation to all registered students within two weeks of the start date of the program.